What makes Les Gets so perfect for ski chalet short breaks? 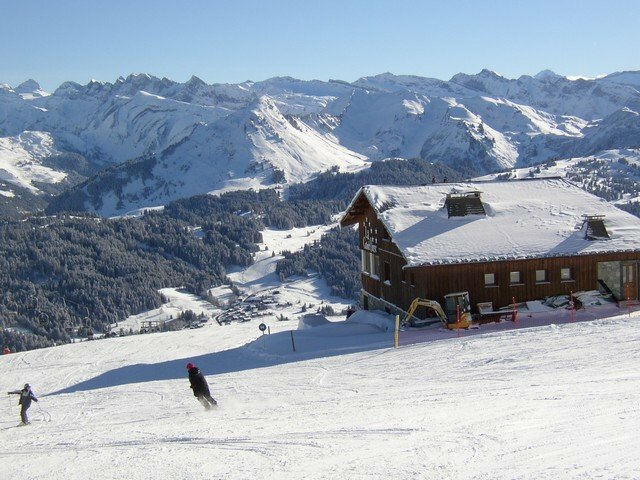 With 650km of pistes, 197 lifts, 10 snow parks and some of the best ski schools around, we think Les Gets and the Portes du Soleil are the perfect destination for any kind of ski chalet holiday. But the popularity of ski weekends, in particular, seems to be on the rise here. In this article, we’ll be asking what makes Les Gets such a go-to destination for ski chalet short breaks. Short-break skiers generally want to know one thing above all else: how can I maximise my time on the slopes? Breaking this down, there are a few considerations which make Les Gets a good spot for ski weekenders. Geneva Airport is just an hour away. Most obviously, that means less time spent in a minibus and more time blazing a trail on the mountain. But that’s not all. Because Geneva is such a hub for Europe’s best ski destinations, it is served by countless early-morning flights from airports all across the UK. It’s a short-hop flight, too, so book a nice early flight and you can be in resort before lunch. What’s more, Les Gets is the first drop-off point in a series throughout the Portes du Soleil. That means more transfer buses, so less waiting at the airport. Why’s that? Well, there are loads of airport transfers going your way with passengers heading for neighbouring resorts like Morzine and Avoriaz. As soon as your bus is full, you’re off. Because Les Gets is the first resort en route, you’ll be hopping off first! Catch me if you can. Les Gets is made up of mostly catered chalets run by small, independent companies. Often owner-run from resort, these companies tend to offer a personal service which really comes into its own when you’re on a ski weekend. 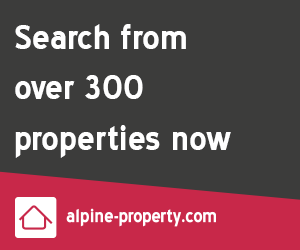 Ask your chalet company what they can do to get you on the slopes asap. 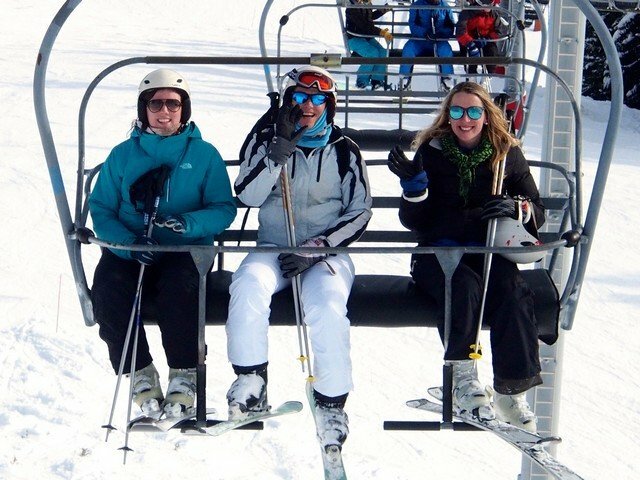 In most cases, they can arrange to have your lift pass waiting for you in the chalet, and your ski hire delivered and fitted on arrival. It’s just as cheap as organising everything yourself, but with the benefit of their local knowledge and none of the hassle. With no hanging around, you could be skiing by lunchtime. Les Gets is a small enough resort that you’ll never be too far away from the action. 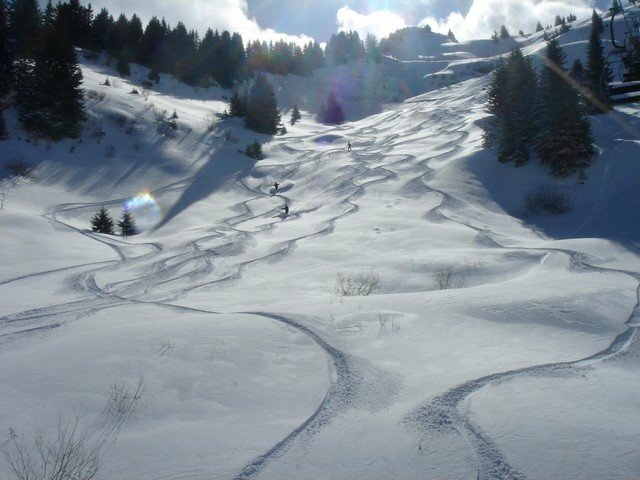 With a chalet location near the bottom of the Perrieres, the Chevannes or Mont Chery, you can be skiing within minutes of leaving the chalet, even if you aren’t lucky enough to find one of the many ski-in/ski-out options which line those same slopes. Once your skis or board are clipped on, you’re right into it. You won’t have a twenty-minute odyssey of ski lifts before your first parallel turn. 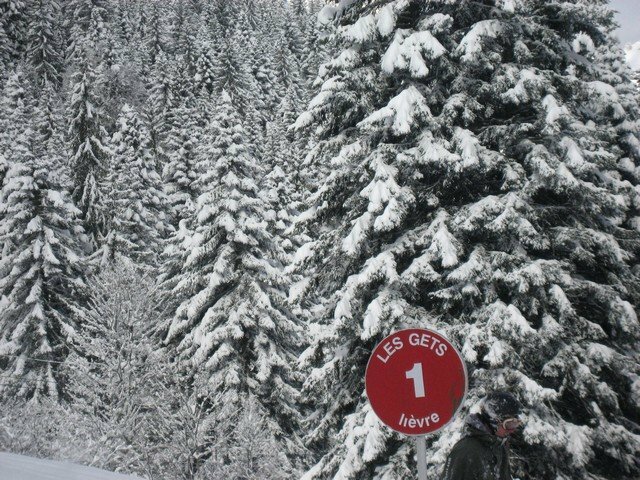 One lift will bring you to the Les Gets Bowl – the perfect destination for clearing the cob webs and finding your feet. Once you’re feeling confident and ready to explore, Europe’s largest ski area is your oyster. But you don’t need to go far to feel like you’ve had an adventure. 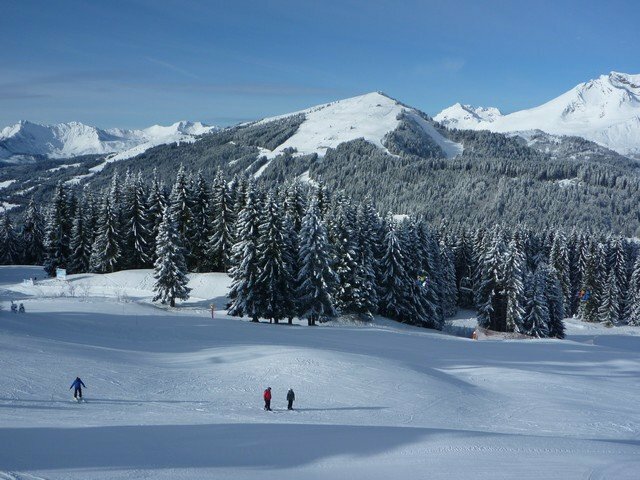 A local area lift pass for Les Gets / Morzine will keep most skiers occupied for more than a three- or four-night ski chalet short break. For many, price is a significant factor when booking a ski chalet weekend. It might be that you’re shortening your holiday to save money for other things this winter. Or maybe this is already your second ski escape this season, so keeping the costs down is a good shout! Either way, Les Gets could be a good call. If you don’t want to compromise on the quality of the skiing, the accommodation, the resort ambiance, or the amazing French food, it might seem like budget-friendly options would be thin on the ground. But this isn’t necessarily true. Compared to some of the pricier destinations of The Three Valleys, for example, Les Gets offers cheaper accommodation, ski hire, lift passes and general add-on expenses like eating and drinking out. Same great ski experience, but a little bit more gentle on the wallet. With several properties in Les Gets, 'Mountain and Tradition' offer ski chalet short breaks throughout the ski season.